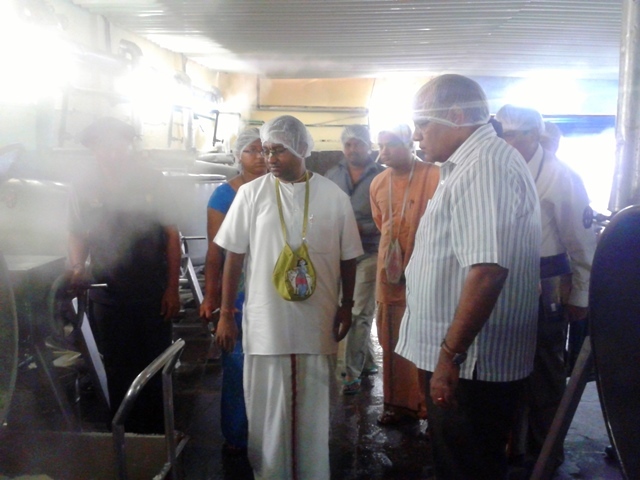 Greater Hyderabad Municipal Corporation (GHMC) Commissioner for State, Somesh Kumar (IAS) along with the Assistant Commissioner of GHMC recently visited the Akshaya Patra kitchen in Hyderabad. They were accompanied by Satya Goura Chandra Dasa, Unit President, Hyderabad and Raja Hamsa Dasa, Head— Operations amongst others. Highly appreciative of the Foundation's work, the Commissioner said, "Visited the Akshaya Patra kitchen. I am really impressed by the quality. It is a clear indication how dedication and technology can change lives of the poor. Please keep up the great work. Hope that GHMC collaborates with Akshaya Patra on some innovative programs."